Coming home after a long tiring working day. You need a rest but you need to feed the family with food and all you hear is "Mum, I'm hungry!" This is me on my regular working days. Are you the same? At times, I do feel tired that I have to cook dinner on almost everyday from scratch. Sometimes to ease my everyday chores, I cook some selected dishes in bulk and freeze them in portions and this is one of the best Nyonya braised chicken dish that can allow me to do that. 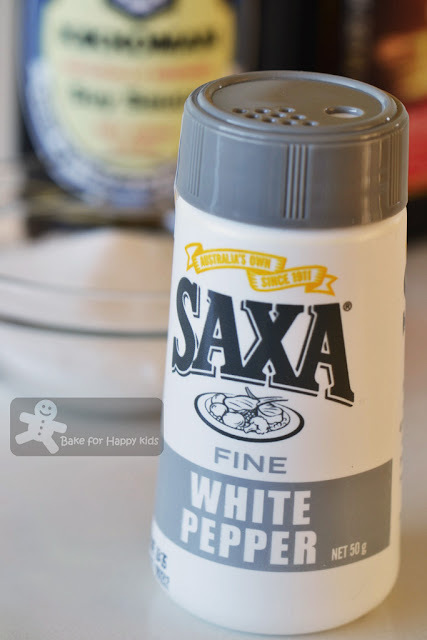 ... and most importantly, ground white pepper. The heat with the white pepper is quite subtle and even my son doesn't know that there is pepper in this dish. Marinate the chicken in these ingredients for an hour. I started cooking by doing this. Simmer the dish until the chicken pieces are tender and the gravy thickens. 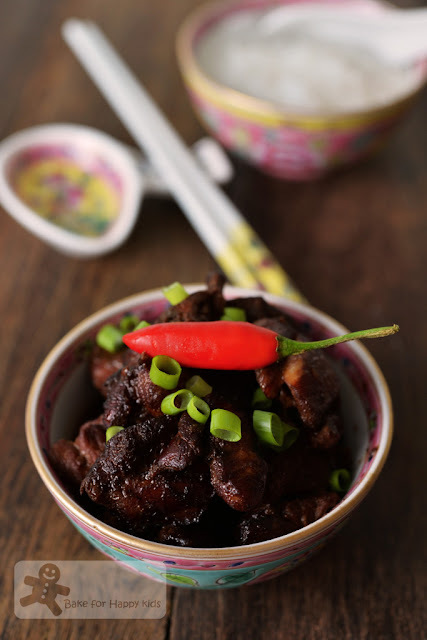 Serve with chilli and sliced spring onions. Very comforting to enjoy with plain rice congee. 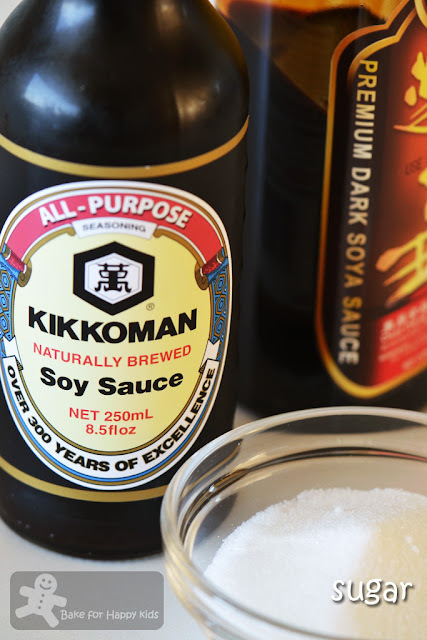 Marinate the chicken in soy sauce, pepper and sugar for an hour at room temperature. 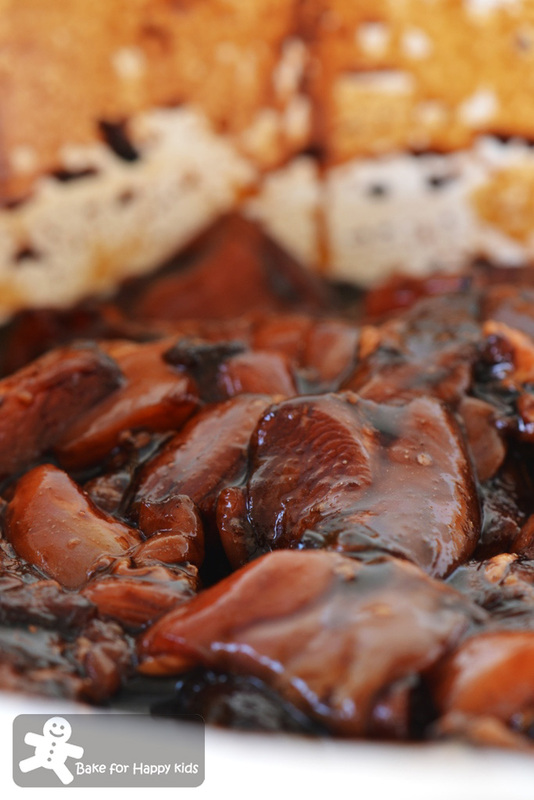 If you are living in a place that is warm or is experiencing summer, marinate chicken in the fridge for the first 45 mins. 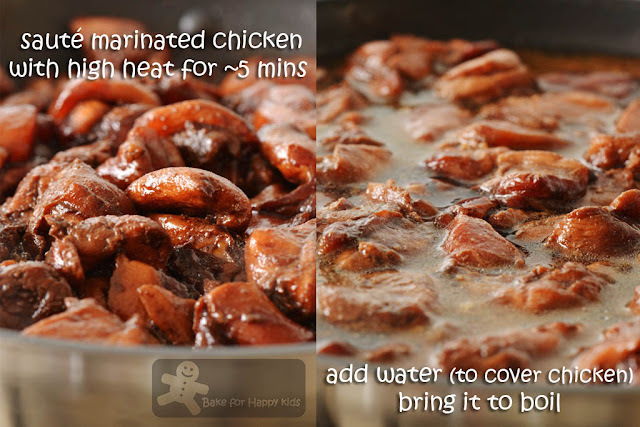 Remove it from the fridge and allow the chicken to marinate at room temperature for another 15 mins. 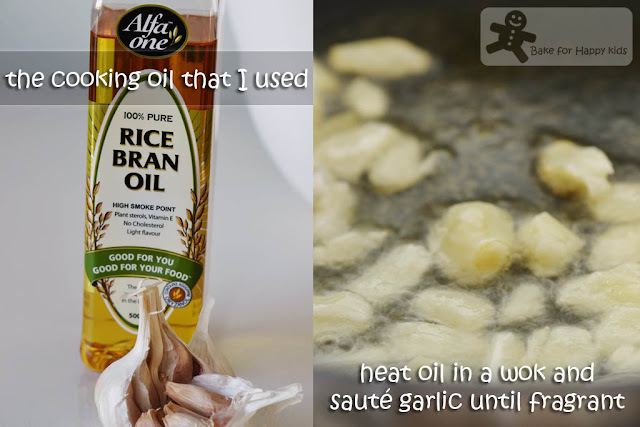 Using high heat, heat the cooking oil in a wok and sauté garlic until fragrant. Add the marinated chicken and cook with occasional stirring for 3 mins. Stir in water and bring to a boil. Lower the heat and simmer for 30 mins or more until chicken is cooked and the gravy thickens. Garnish with spring onion and red chilli. Serve warm with plain rice congee. Set aside the cooked dish at room temperature until it is cooled completely. Divide them into portions in freezable containers and store them in freezer until required. On the night before the dinner, remove one divided portion from the freezer and place it in the fridge to defrost overnight. 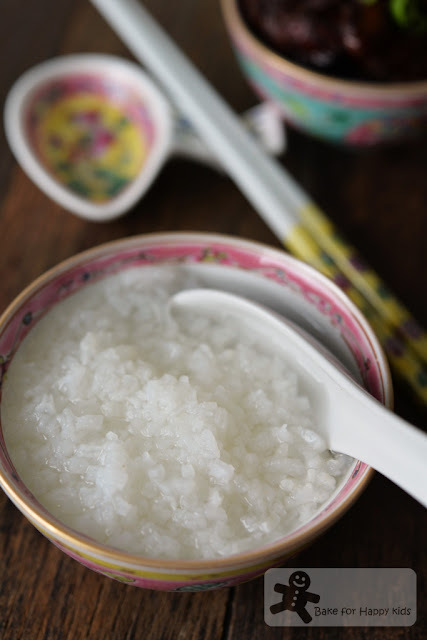 In order to enjoy ready-to-eat plain rice congee at the end of the day, you can cook congee using an electric slow cooker or a thermal cooking pot. In the morning before going to work, place 1 cup long grain fragrant rice in the slow cooker pot or thermo pot. Rinse with adequate water. Drain completely and fill with 8 cups of water with 1/2-1 tsp salt. This proportion will yield congee with thick consistency. If you like congee that is thinner or saltier, you can always stir in more boiling water or salt when it is fully cooked. This amount of congee serves 4. To reheat the dish, decant defrosted chicken into a saucepan and cook chicken in low heat until warm and serve when it is warm enough. All ready! 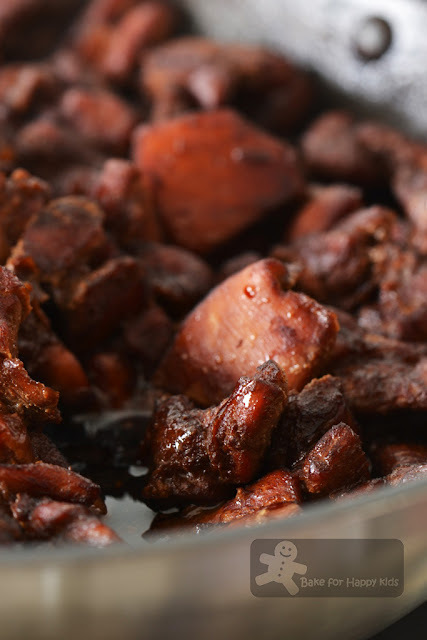 It takes me less than 15 mins to serve this comforting meal to my family. Now, are you less tired and more happy? 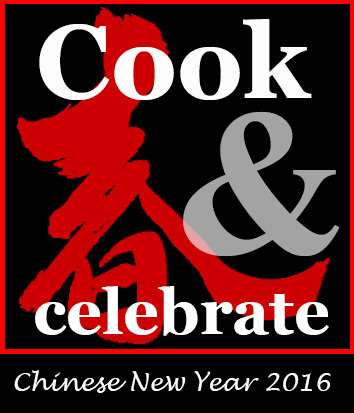 As this is a homey comforting dish to eat in all occasions, I would like to link this post at Cook and Celebrate: Chinese New Year 2016 hosted by Yen from GoodyFoodies, Diana from The Domestic Goddess Wannabe and Zoe from Bake for Happy Kids at here. Good morning Zoe & Happy CNY to you & family! Am back to work, leaving my footprints here first.. Feeling blueeeeee.. Huhuhu.. Happy Lunar New Year to you and your family, Zoe! Hope you're having a great start to the Monkey Year. Hi Zoe! I also like to cook in advance and freeze certain dishes. 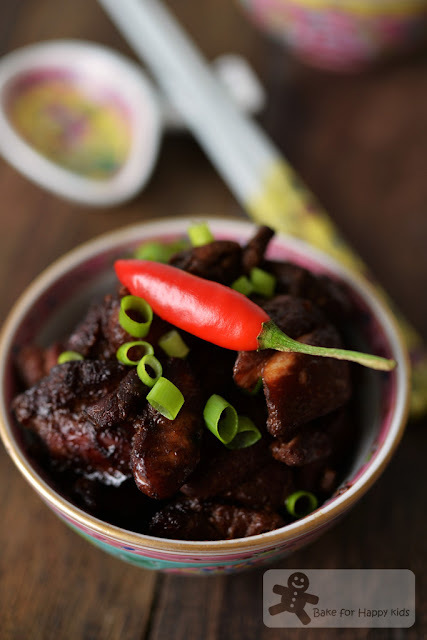 This braised peppery chicken looks so delicious. It's making me very hungry LOL! Yes Lynn! You can use chicken drumlets or even the whole chicken (chopped into pieces) if you wish. Just make sure the chicken are cooked to tender. Hi! Zoe, Gong Xi Fa Cai ! This chicken dish looks wonderful, i shall try this too! Simple, delicious dish! My kids would love this too. Simple, homely and so familiar! My entire family loves my grandmother's braised chicken. She usually has chestnuts, carrots and bamboo shoot with the chicken and this dish never fails to makes me happy!